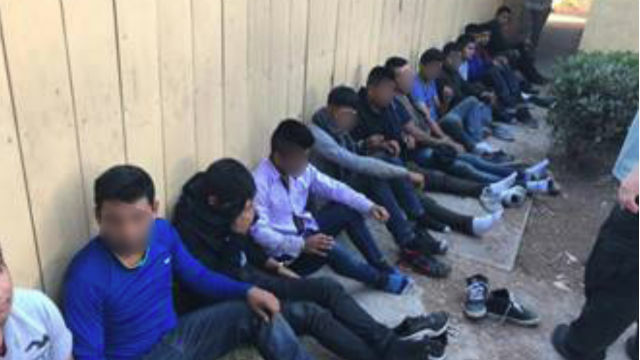 Border Patrol agents arrested 40 undocumented Mexicans in two nearby “human smuggling houses” in Imperial Beach, officials reported Tuesday. The arrests were made Monday at an apartment complex at 1485 Elder Avenue. The first unit was raided at 1:30 p.m. and 22 people were found inside. A second raid came at 3:10 p.m. at a nearby unit, in which 18 undocumented individuals were found. A total of 36 men and boys and four women were taken into custody. Agents said one of those detained was found to be a previously deported felon with a domestic violence conviction.